Product || JK Scrap Traders , Wholesaler of Hydraulic Press, Drill Machine & Hexo Cutting Machine in Ahmedabad, Gujarat. Offering you a complete choice of products which include Hydraulic Press. Consistent innovation, coupled with an alert understanding of clients' needs & demands, makes us the most reliable firm of Hydraulic Press. Large bed areas, large stroke lengths, and high tonnage capacity are all benefits of a used hydraulic press in Ahmedabad, Gujarat. With controlled feedback systems, the ram is proportionally controlled to fit your stamping dies with just about any type of job. Compression moulding is done on used hydraulic presses with the use of heated platens and cooling techniques. The most popular used hydraulic press is the 4-post down stroke type or a hydraulic gap frame type as they are efficient for the type of job they are required of. 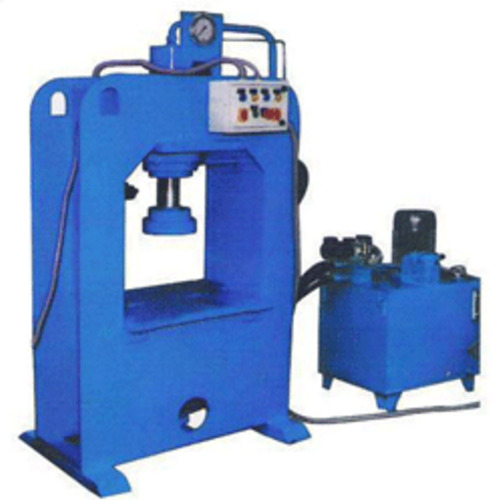 JK Scrap Traders has been helping people in all types of industries with their used hydraulic press needs.